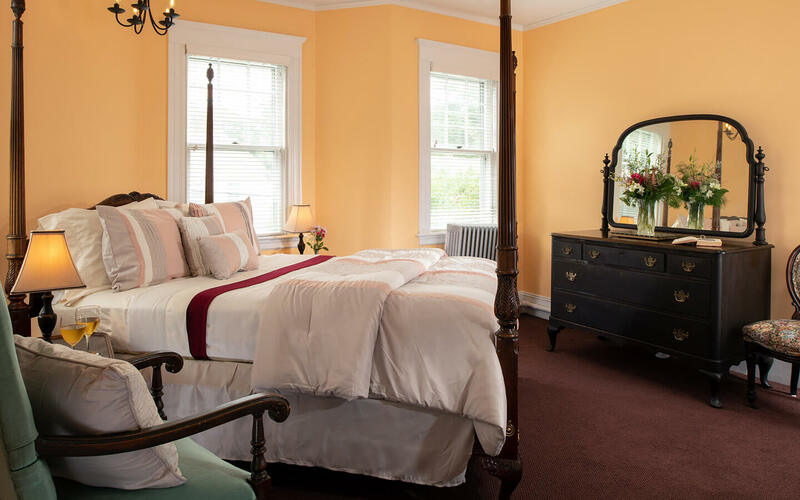 Our romantic Cape Cod bed and breakfast offers 17 beautifully decorated guest rooms featuring plenty of great amenities. 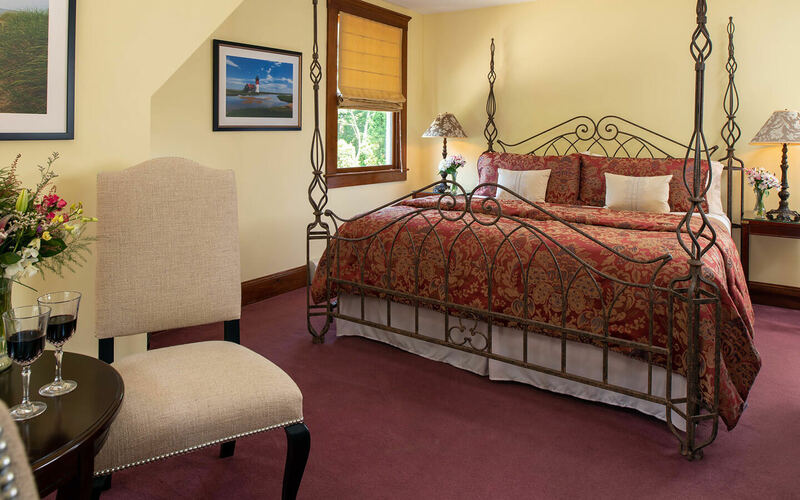 Be sure to check out our Cape Cod getaway specials and packages! 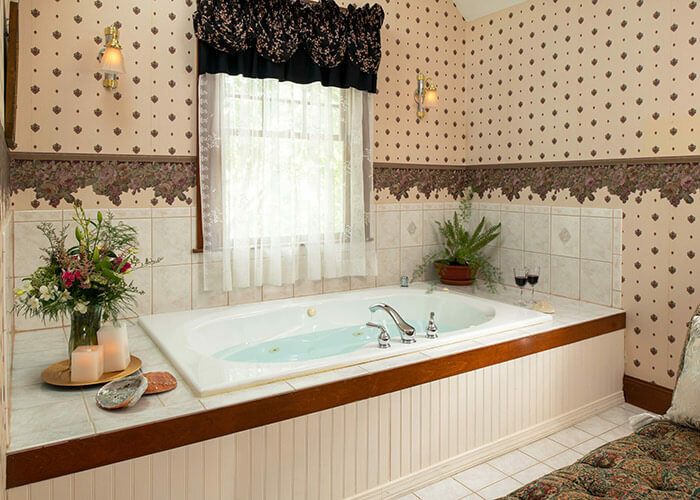 Several rooms offer fireplaces and/or jacuzzi-style whirlpool tubs. Check-in is between 3:00 PM and 5:00 PM on the day of arrival. Special arrangements need to be made for early or late check-ins. 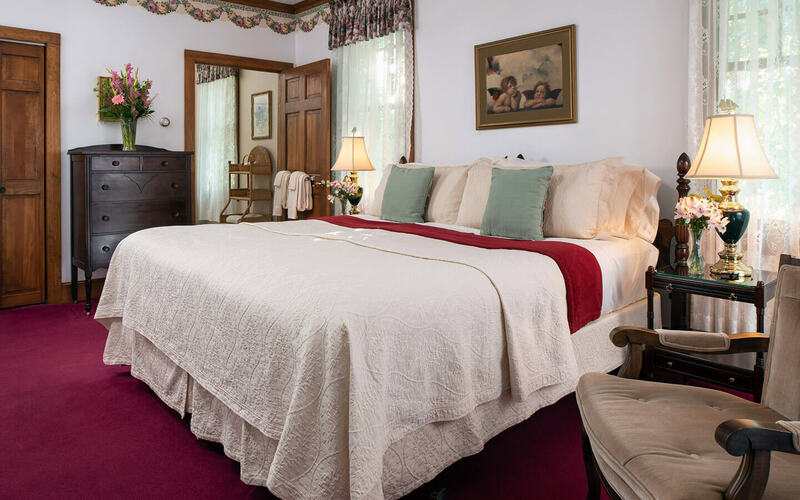 An Advance Deposit of one night’s lodging plus tax (one night reservation), two nights’ lodging plus tax for reservations of two or more nights will be charged to the credit card you provide when you make the reservation online. We will refund the Advance Deposit, less a $20.00 per room service charge if you cancel your reservation 14 days or more before arrival (30 days for 3 or more rooms or 5 or more nights). If you cancel with shorter notice, we cannot guarantee a refund unless we are able to rent the accommodations to someone else. If you arrive after your confirmed arrival date or leave before your confirmed departure date, we cannot offer you a refund or adjust your bill. If you have a reservation but do not check in, your room will be held for you for the duration of your registered stay and no refund will be provided. 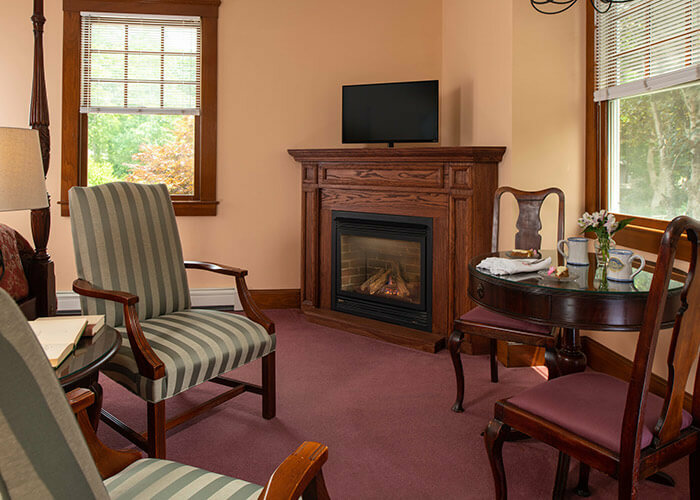 Palmer House Inn is a clean air facility and is a no smoking zone both in the buildings and on the grounds. If you are traveling with children, please list the number of children, ages, and names on your reservation request under “Special Accommodations.” We have a limited number of accommodations that are appropriate for children. By registering, guests agree to be held responsible for damage to the room (or damage to other areas of the Palmer House Inn caused by them) while registered at the Inn or while on Palmer House Inn property and without limiting other remedies, authorize Palmer House Inn to charge their credit cards an amount appropriate for the remediation of the damage. 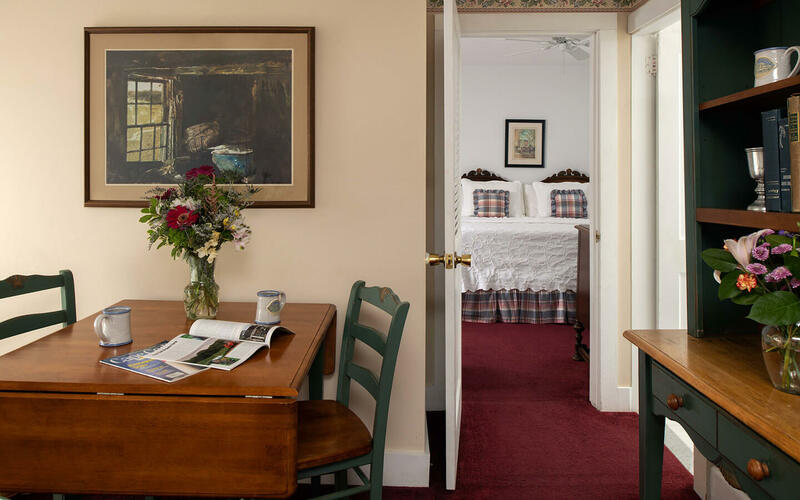 At Palmer House Inn we welcome well behaved, house trained, well socialized dogs in our designated dog-friendly rooms, up to one dog per room at a daily pet charge of $35. Please read our full pet policy.